Seen here from Looking Stead, the main route continues up the ridge on the left. 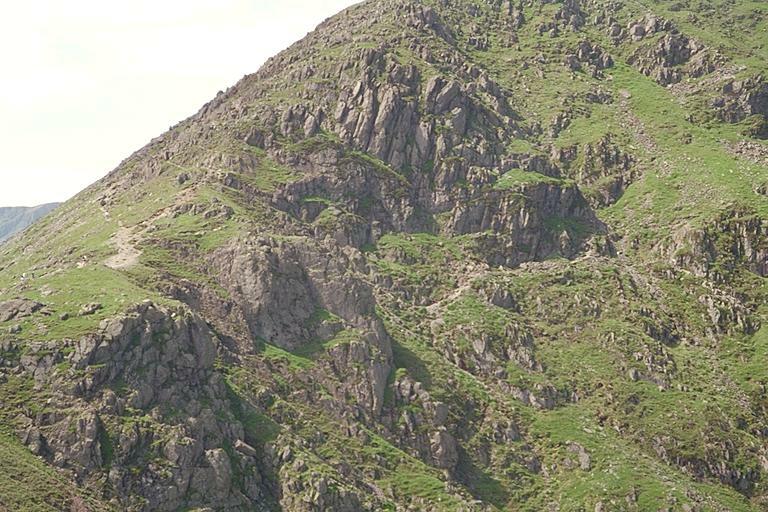 From the main path, about 2/3rds of the way up the picture, the High Level path drops to the right, between two rocky outcrops, to join the clear path slightly below and to the right, of the centre of the picture. The path then rises gradually as it goes off to the right. Smaller version of this picture.